Hi this thread will serve as a list of Discord servers with people from the Elsword community. There is no official discord server for Elsword, but this is the next best thing I could think of. If you're looking for a server that has people from Elsword, then this thread will help. Jk there's one now. Though if you would like to be more part of the community, then this thread is for you. Here will contain list of more discord servers that includes various people of the Elsword community. The list will be divided into 2 categories: In-game related servers and Offtopic servers. In-game related servers are servers with their main purpose of having activities involved with Elsword where you can have deep philosophical discussions about the game, find parties, ask for help, etc. Offtopic servers are servers that contain people from the ingame or forum community if you just want to chat with others, or rather not necessarily directly involved with the game. Servers in offtopic category that are okay are servers for general chatting or sharing art. Linking to other servers such as official servers for other games or a cult for sandwiches do not count in this category and will not be added to the list. If you have any questions you're always welcome to ask for clarification. If there are any discord servers that are deemed to be problematic, such as having majority of the content that is against the Forum CoC, then it will not be eligible to be on this list and your post may be deleted. Any discord servers in the below list is not official and is all community-run. https://discord.gg/QdC2XXu Endgame Party Finding (EPF) Discord - Discord server focused around finding and organizing more efficient farming parties for various endgame dungeons such as Elrianode and Varnimyr, with support for players from both the NA (Solace) and INT (Gaia) servers. https://discord.gg/0YduYHnGOv68Gtj7 NA PvE Discord - PvE orientated server to help players find parties in any and all pve content for the NA Solace server. https://discord.gg/JuUMEMa NA PvP Discord - Discuss anything and everything about the game when it comes to PvP, regardless of whatever server you play. https://discord.gg/etpngm6 Knock out Weeklies! - 32-man Double Elimination Weekly Tournament! Every Friday 6:30 PM EST. Input from knowledgable PvPers appreciated, ask to join the representative-talk channel with a 300-500m Prize. https://discord.gg/QsBrMZA Varnimyr Raid 101 - A server dedicated to teaching and helping players that lack the experience or knowledge on how to raid. https://discord.gg/hxyWdAK Birthday Wars [After War] - Originally the server for the Birthday Forum War, now it's a server just for chatting. War veterans or not, anyone is welcome to join. https://discord.gg/aswTmqN DivineDarkUnion, DDU Elsword HQ is community server for NA, KR & EU elsword. As the name says we are a global elsword server with people from all regions. We offering pvp & pve search help between server members and many more ~ Activities: giveaways, ED events and tournaments with also some art contests. https://discord.gg/AK3PPZ8 Elsword art server - A server for sharing (Elsword) art with occasional collaboration and contests. 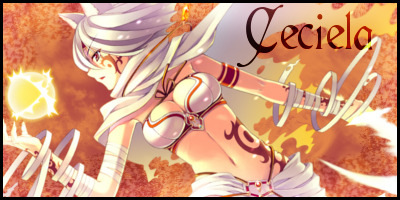 https://discord.gg/WCJY4VT Elsword Fanfiction Brigade - Join the Elsword Fanfiction Brigade where we focus on the ever expanding story of Elrios. In our discord we aim to expand on the characters we love through writing and reading fanfiction! https://discord.gg/zndVyM5 - Elsword KR Discord; Discord community for the Korean server of Elsword. If you play on the Korean server or just want to discuss the latest Korean news, feel free to pay a visit! We have a few guilds on both Solace and Gaia as well for those that want to join those~! https://discord.gg/w28QsWs - Children of Elria - A non-profit communal server dedicated to hosting PvE, PvP, and other events for all of the Elsword NA community, along with some casual discussions. Last edited by Peper0chan; Yesterday, 06:26 PM. I actually think that this would be a good idea since we got no official Elsword NA/INT Discord server, so why not? I'm up for this idea, it'd really give more attention to some of the smaller Discord groups and would make it much easier to find servers rather than searching "discord" on forums for random groups or something. Okay I'll probably work on this then. Obviously I'm not in all of the discord servers out there so if you're the owner or admin (or anyone who can get inv link with permission) pls provide me an invite link to the server that doesn't expire and a short description of what the server is about. Like 1-2 sentences. Just so people know what the server is. Last edited by Peper0chan; 10-22-2017, 10:39 PM. Elsword art server that shares elsword arts, other game art and discussions for collabs + contest announcements. Elrianode Party Finding (EPF) Discord - NA (Solace) Discord Server focused around finding and organizing more efficient farming parties for the Elrianode region dungeons. Considering that the list is starting, might as well sticky it. Server contains many forum users and some moderators just chilling after the forum event "Birthday Wars"
Last edited by Shirayuki; 10-25-2017, 03:03 AM. Which one is the market server? Peper0chan Hey Pep, for the EPF Discord, can you change the description to this? Elrianode Party Finding (EPF) Discord - Discord server focused around finding and organizing more efficient farming parties for the Elrianode region's dungeons, with support for players from both the NA (Solace) and INT (Gaia) servers. "Discord community for the Korean server of Elsword. If you play on the Korean server or just want to discuss the latest Korean news, feel free to pay a visit! We have a few guilds on both Solace and Gaia as well for those that want to join those~!" Last edited by DreamerVG-solace-; 02-12-2018, 03:01 PM. I've edited the OP to include this. not sure if I actually wanna join, but it's fine to join just to stay updated? o/ is this post still allowed to add communities or not I am rather confused. can you change the info on the list for my server we did some changes :>. Activities: giveaways, ED events and tournaments with also some art contests. Sure thing! I've updated my post.